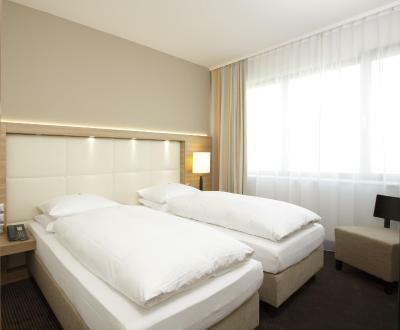 Lock in a great price for H4 Hotel Berlin Alexanderplatz – rated 8.7 by recent guests! Very helpful staff. The rooms are comfortable and are a good value for the price. After a busy day you look forward to return to this hotel. The hotel is located close to the Alex with access to many restaurants. The hotel and room was super! The staff is nice. The location of the hotel is great. The room was quiet event the street windows. 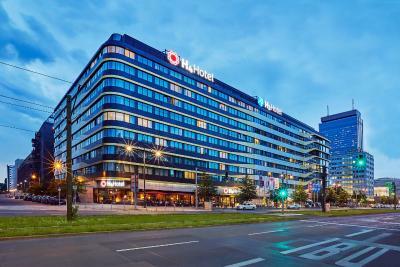 Great location - close to buses, trams, trains and main attractions but at the same time is not too close i.e. it is rather quiet place! 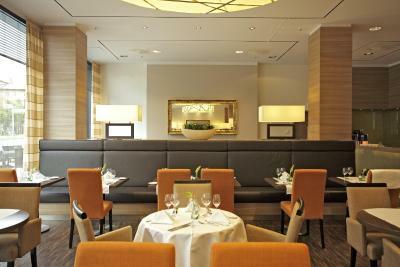 The hotel is situated in a walking distance from the Alexanderplatz and the Berlin Fern. There is a direct bus to Tegel airport. The Musem island is also on a walking distance from the hotel. I love the location as well as the big comfortable beds and the very friendly staff. There is the H2 hotel next to the H4 which has a 24/7 restaurant working (realy usefull if you're hungry late at night). The room was spacious enough (we were 2) and the hotel was only 3 to 8 minutes walk away from any subway / tram station that we needed. Clean room, big enough. Good breakfast even though not outstanding but the restaurant looks modern and clean. Room was quiet as requested. Free Nespresso :). Reception helped with taxi very well. Very comfortable bed, clean room, heated floor on the toilet, great shower and great location. 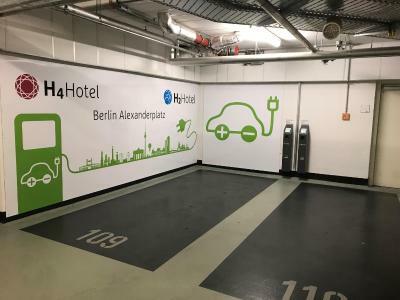 H4 Hotel Berlin Alexanderplatz This rating is a reflection of how the property compares to the industry standard when it comes to price, facilities and services available. It's based on a self-evaluation by the property. Use this rating to help choose your stay! 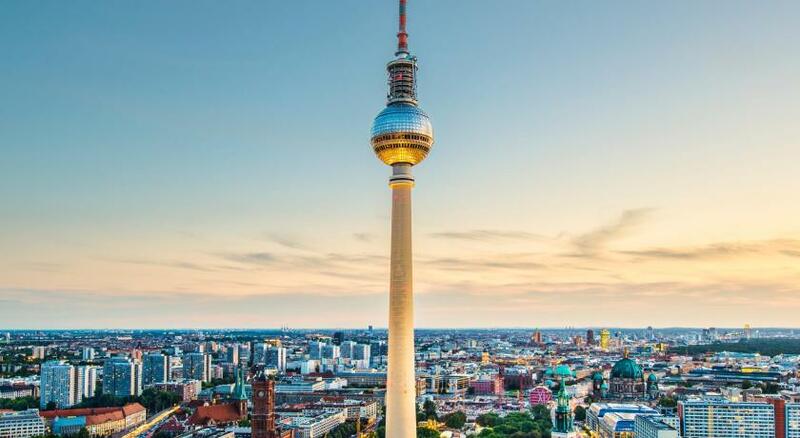 One of our top picks in Berlin.Just a 2-minute walk from Alexanderplatz, this hotel offers a rich breakfast buffet and modern, soundproofed rooms with a flat-screen TV. It has great transport links to all parts of Berlin. 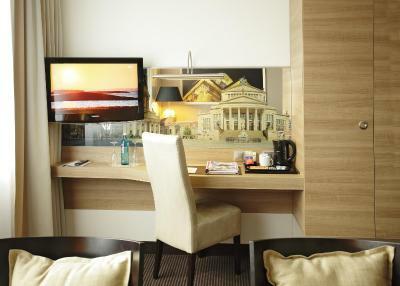 The 4-star H4 Hotel Berlin Alexanderplatz has air-conditioned rooms featuring a stylish design with free wired internet. 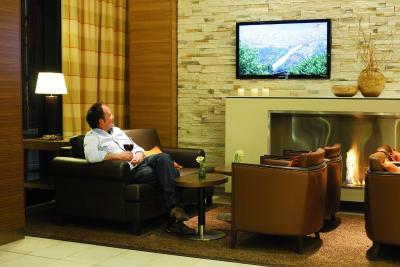 All rooms come with free Sky satellite channels, and free WiFi is provided in all areas of the hotel. Some rooms include a separate living room and electric kettle. 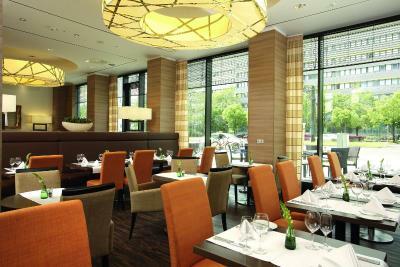 International food is served in the H4 Hotel Berlin Alexanderplatz’s Gaumenfreund restaurant. 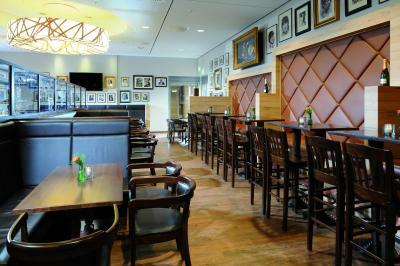 There is a bar and smoker’s lounge, as well as business facilities. Mollstraße/Prenzlauer Allee Tram Stop is a 2-minute walk away. 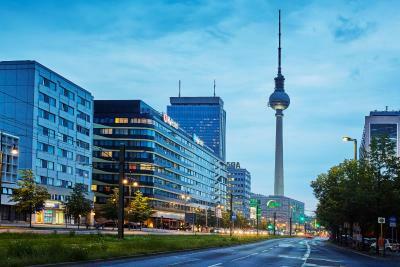 Alexanderplatz offers train, underground and bus links to Berlin’s major attractions and airports. Here, visitors find the Galeria Kaufhof and Alexa shopping malls. 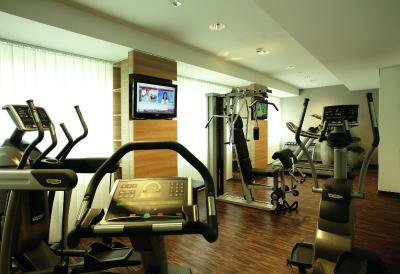 Guests can relax in the gym or sauna after a busy day. 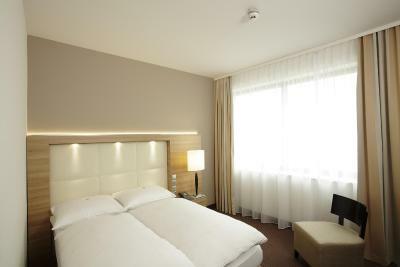 When would you like to stay at H4 Hotel Berlin Alexanderplatz? Soundproofed room featuring a flat-screen TV including free Sky satellite channels, as well as air conditioning. A bottle of water is provided. Please note that no extra bed is available in this room category. Located between the 6th and the 8th floors, this soundproofed room featuring a flat-screen TV including free Sky satellite channels, as well as air conditioning. A bottle of water, free tea/coffee facilities and toiletries are also provided. Soundproofed suite featuring a flat-screen TV including free Sky satellite channels, as well as air conditioning. A bottle of water is provided. This suite also offers a spacious living area, and an electric kettle. Items from the mini-bar are free until it is refilled. Soundproofed room featuring a flat-screen TV including free Sky satellite channels, as well as air conditioning. 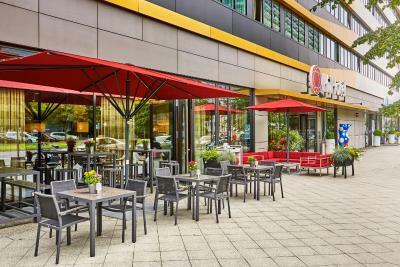 This special offer includes WiFi, breakfast and a Currywurst meal for each guest. 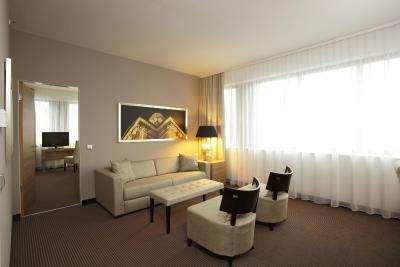 The Suite has a bedroom and a spacious living room with a large bathroom. This suite has a electric kettle, seating area and air conditioning. 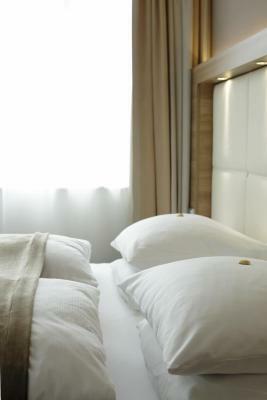 House Rules H4 Hotel Berlin Alexanderplatz takes special requests – add in the next step! 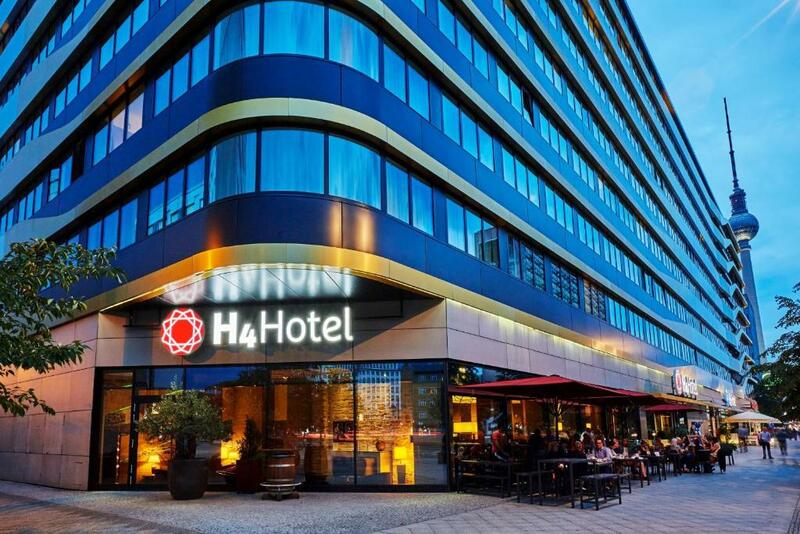 H4 Hotel Berlin Alexanderplatz accepts these cards and reserves the right to temporarily hold an amount prior to arrival. Please note that 2 extra beds are only available in the suites, and not in the rooms. Extra beds and baby cots are only available in some rooms and upon request. Staff very professional and friendly. Restaurant - lovely food and value for money. Hotel - very clean and comfortable. Will definitely revisit. Very comfortable and neat room. 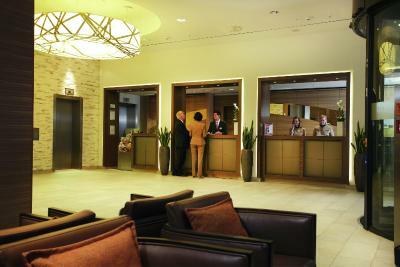 Different cozy lounge rooms are accessible without prior registration. Unable to print using the printer at the lobby as not connectable with Bluetooth. The receptionists are always very busy. Need to keep a smile on their faces. Choice of drinks and evening snacks in Executive Lounge was a little limited. Excellent location and spotless leaky clean everywhere in the hotel. Enjoyed the facilities in the Executive Suite. Got street parking behind the hotel which was free on the Sunday therefore saving a significant amount compared to underground or hotel car park. Worth a try if driving. The cleaning lady stained the bed sheets with blood, but we are sure that it was only a mistake :) Would be nice if the rooms could have slippers - we saw them on the cleaning lady's cart, but we never received them in our room. In rest, everything was perfect! Breakfast was amazing, very diverse and fresh! The room had all the essentials and it was quite spacious. Also loved the heated floor in the bathroom. Great location, great sauna and comfotable bed. The bed was too soft. The water was not continuously warm during the shower. It was warm and then colder then warm again and then cold again. Breakfast room is a slight disappointment; small for the number of rooms/guests so breakfast is often very busy no matter what time you eat. 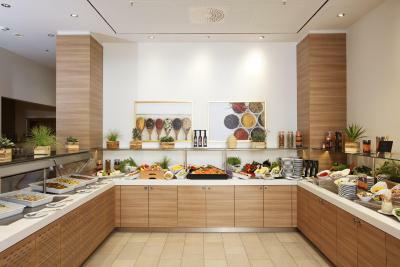 Breakfast is mainly continental and the self-serve area is again small and could have more choice. Lovely omelette station though! Have stayed here a few times for the Berlin Half Marathon. 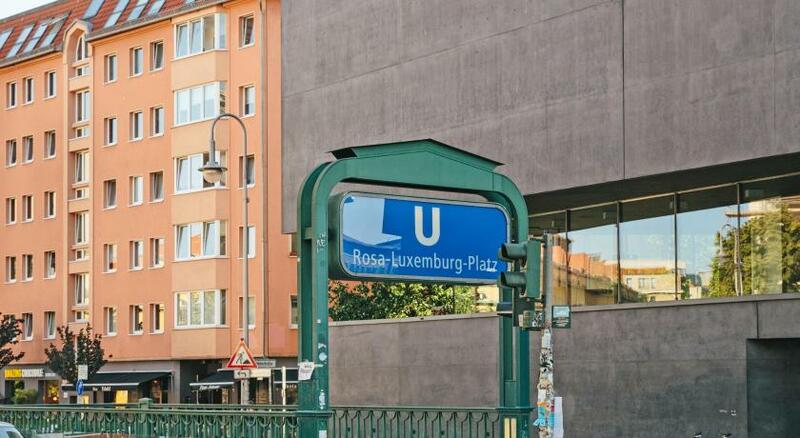 Great location beside Alexanderplatz which is a main underground/overground train and bus hub just 5 minutes a few stops away from marathon start line. Friendly staff, clean and stylish rooms, quiet hotel.